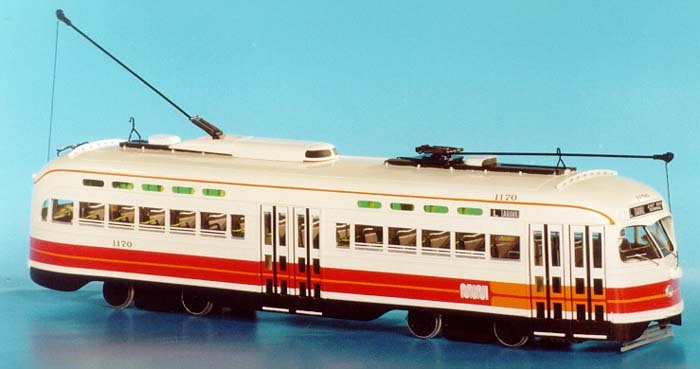 Model 1947/49 white 798 (san francisco municipal railway 0166-0454 series). 1947/49 White 798 (San Francisco Municipal Railway 0166-0454 series). 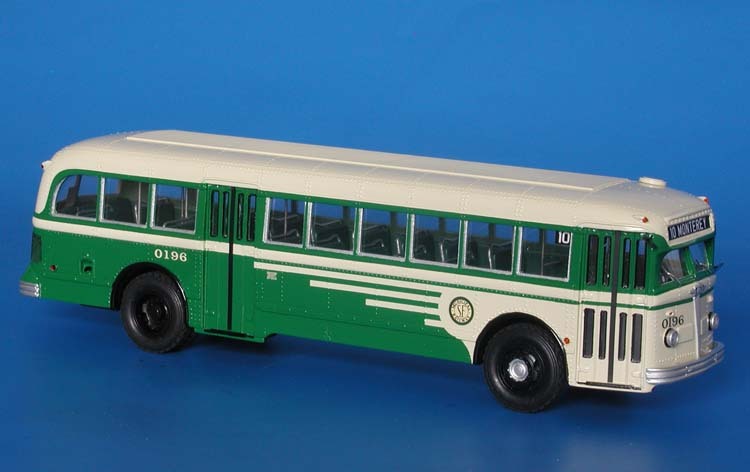 Muni was very satisfied with first batch of the White buses and placed a huge order to the White Motor Co. for 289 coaches. 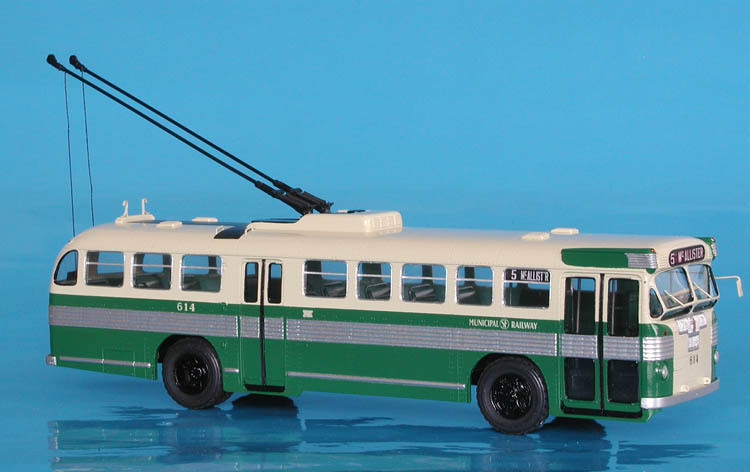 First batch of 30 buses (0166-0195) arrived in September-October 1947, they were painted in the green and cream 'wings' livery and were fitted with automatic 'Hydrotorque' transmission. 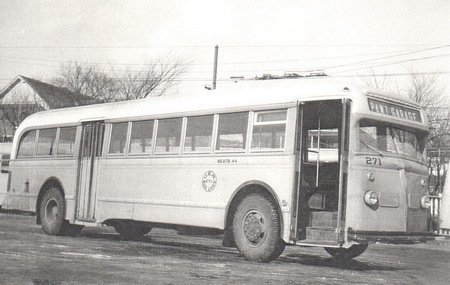 They had only 39 seats (with single seating along the front part of the the left side). In May-June 1948 the second order of 209 coaches (0196-0404) arrived and last 798s were delivered in late 1948 and early 1949 (0405-0454). 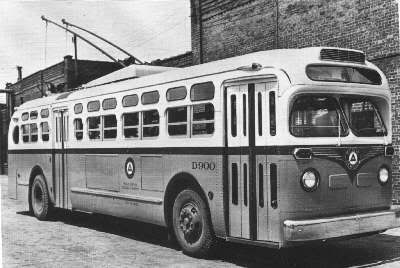 McAllister Division was converted from a streetcar depot to house these buses. 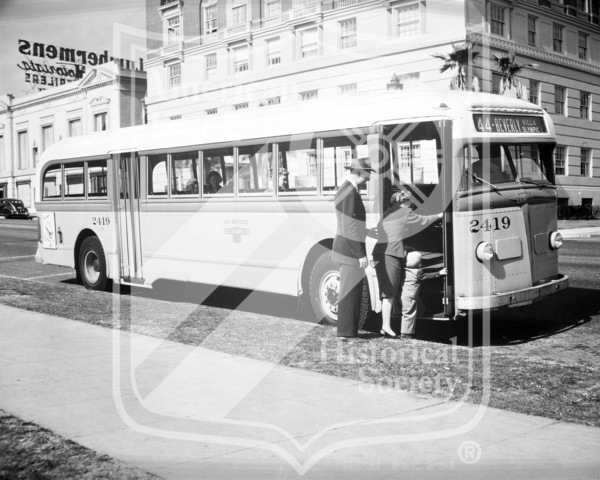 The 798s was a mainstay of the San Francisco bus fleet in the 1950s, with deliveries of the Mack diesels the number of Whites in service was reduced to an ultimate fleet of about 80; they were withdrawn from service in 1969. 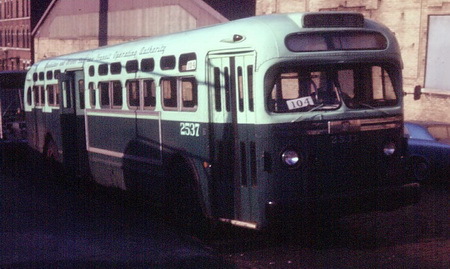 1952 GM TDH-5104 (Manhattan & Bronx Surface Transit Operating Authority 2502-2551 series).